Editor’s Note: This article was originally published on The Conversation. Among Obamacare’s many provisions, none was more galling to Republicans than the individual mandate, which required Americans above a certain income to buy insurance. It was the subject of a lawsuit that went to the U.S. Supreme Court – and survived. Republican proposals to reform Obamacare have centered on repealing the mandate and thus the penalty on people who don’t buy comprehensive insurance coverage. The House bill introduced by GOP leaders on March 6 does just that. The question now is whether the bill contains enough incentives to keep enough healthy people in the pool of people who desire coverage. ACA architects insisted that the mandate was necessary to bring healthy people into those pools. 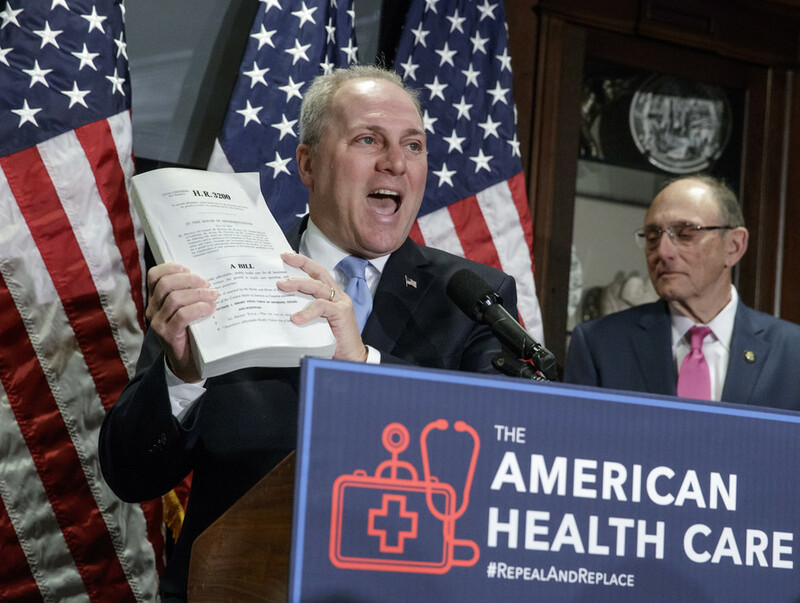 The GOP plan would try to encourage people to maintain coverage by allowing insurers to impose a 30 percent surcharge for those who do not have continuous coverage. For example, an individual with continuous insurance coverage will pay a standard rate for her age and family size. However, if she had a lapse in coverage of more than 63 days due to a job change or perhaps financial difficulties, insurers could charge her up to 130 percent of the standard rate for her first year of coverage. Ironically, Republicans argued the penalties for not having insurance were too low to induce the young and healthy to enroll in Obamacare, leading to higher premiums and destabilizing the market. Yet the proposed surcharge is significantly weaker than the current mandate. For the average person, a one-year, 30 percent increase in premium is less than 2.5 percent of income under Obamacare. Further, the Obamacare penalty is per year without insurance, so a healthy person opting out of coverage for five years would pay a lot more in penalty under Obamacare. Thus young, healthy people are more likely to forgo coverage until they get sick under the House proposal. In turn, I believe insurers are likely to increase premiums under the House plan as more people who are healthy opt to go without coverage. There are additional components of the House proposal that could mitigate these concerns – while raising other issues. Under Obamacare, insurers can charge an older person in the plan only three times as much as the youngest. The Republican plan would allow them to charge five times as much, which should lower premiums for the young and healthy. The House proposal also includes age-based tax credits that disproportionately favor the young, and would allow insurers to offer less generous policies that would appeal to healthier individuals. Moving from a mandate to continuous coverage should exacerbate concerns of adverse selection (young and healthy opting out), all else constant. However, the other components of the plan that are advantageous to the young and healthy will offset this effect to some degree. On the other hand, if insurers are allowed to sell bare-bones policies that have a minimal actuarial value, the market could segment high and low-risk individuals and destabilize quickly. While important details remain to be worked out, including the size and distribution of tax credits for purchasing insurance, the House proposal has Republican DNA, emphasizing free markets and individual choice, and benefiting those who are higher income and healthy.